The Paperback price is somewhat lower today than before Christmas, but still almost four times the list price. What’s going on and how does one get at least the list price (vendors like Amazon sometimes have sales prices which are much better than the list). 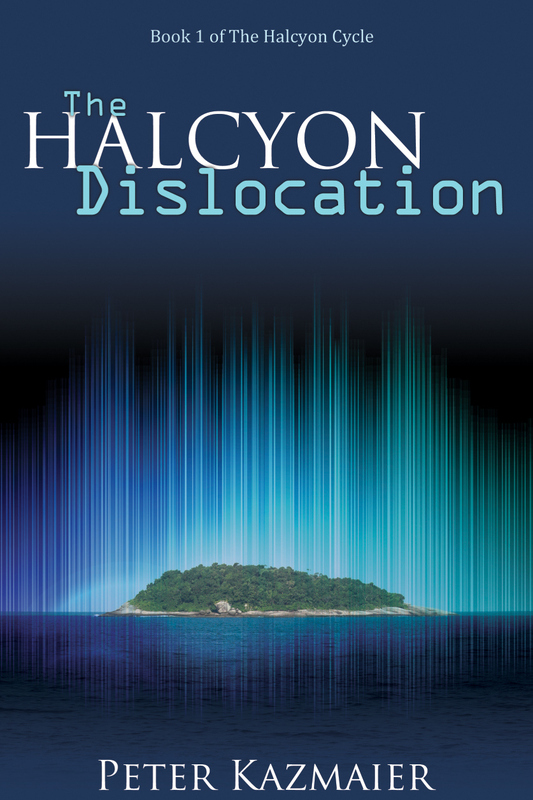 As an author who is trying to make a name for himself, I wish I could offer a 326 page trade paperback like The Halcyon Dislocation for much less than $24.99 (as I do with the Kindle edition at $3.99) however with Print-On-Demand costs that is not really feasible. 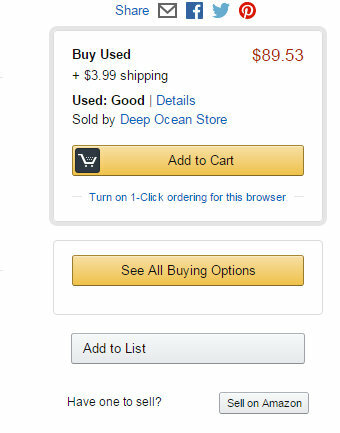 However, to me, charging $80 or $90 dollars for a book that with one click would let the reader buy it for $25 is predatory, and takes advantage of a customer’s inexperience with internet sales. My novel The Halcyon Dislocation was featured on December 19th on Kay MacLeod’s Indie Advent Calendar. Why not check it out? I was graciously invited to an author interview by Andrea Washington. Here is the link. For your convenience I have also reproduced the questions and answers here. I welcome any questions you might have. Thank you Andrea! I love to read Fantasy and Science Fiction. First and foremost then, I write books that I would like to read, but no one else has taken the trouble to write them. Specifically, I like books that are plot-driven and keep me riveted wondering what happens next. But I also like books that ask the Big Questions, as people do in real life. Why are we here? What does it mean to be human? Why should I try to be good? When did you decide to become a writer, and what was that process like? For a large fraction of my life, I was a researcher in chemistry and much of my writing appeared in technical journals or as patents. My career as a novelist had a curious start. I was a member of a book club and during one of our sessions I mused how I would love to write a novel. One of my friends said, “Well why don’t you do it?” The gauntlet was thrown down and I had to do something about it. It took me four years of attending writer’s conferences, and writing in my spare time while still holding a full time job before my first book came out, the first edition of the colonization epic The Halcyon Dislocation. The Halcyon Dislocation and The Battle for Halcyon are the first two books of a four part series that I call The Halcyon Cycle. 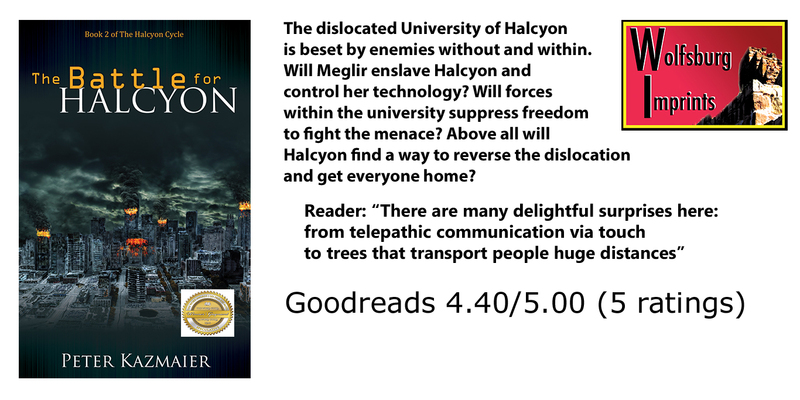 They deal with a science experiment that transports the island University of Halcyon to a parallel world. In the story we experience how various members of the university deal with the trauma of the dislocation and the challenges of surviving in a new world. Questioning Your Way to Faith is a much shorter book that arose because of requests I received from some of my readers. In terms of a time line, Questioning Your Way to Faith is set before the dislocation and involves two university friends having an extended discussion about whether or not Christian belief is reasonable. Where can we buy or see them? My books are Science Fiction that read a bit like Fantasy. I say that because my books have a strong science component and I worry a lot about whether events like the dislocation are feasible. Having said that, once the University of Halcyon is in the new world, technologies begin to fail (because modern technology requires enormous infrastructure) and then one has much more of a Fantasy-style landscape. Do you do any research for you books? I try hard to get the details right in my books, so I do quite a bit of research to make sure that the phases of the moon are correct, the fish found off the island of Halcyon are correct for that locale and that events like the dislocation are not unreasonable from a physics perspective. Are you working on at the minute? I’m working on the next book in The Halcyon Cycle which I have provisionally called Descent into Abaddon. Do you mind telling us about it? Not at all. 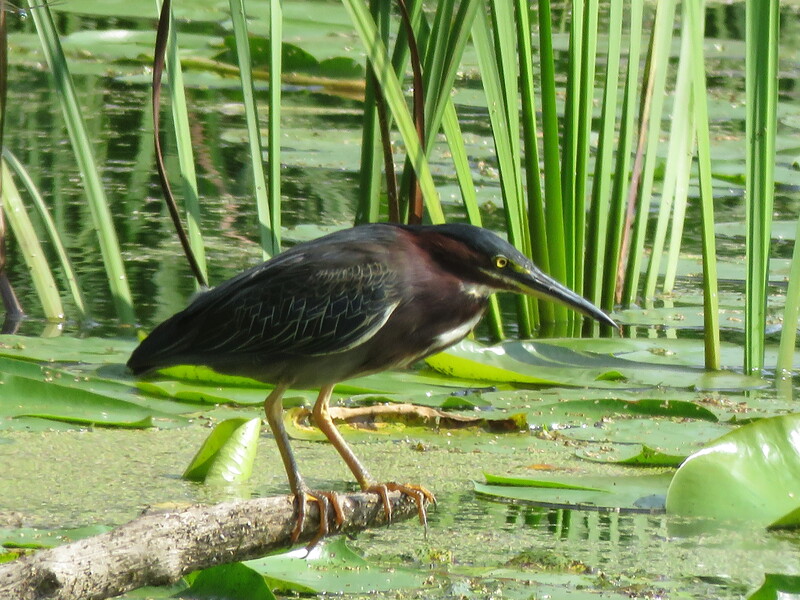 I listened to a wonderful lecture a few years ago that described how our relatively low atmospheric pressure limited the size of land mammals and also the size of flying birds. My next book is centered on a continent so far below sea level that the high atmospheric pressure removes these constraints. What is your favorite book that you have written so far and why? I would probably say The Halcyon Dislocation. I like the Crusonian aspects of being marooned in a new world and all of the discovery that entails. How often do you write a week? I write in fits and starts. When one has several books in print, one has many duties. I work better when I work at something for a concentrated period of time. Do you aim for a set amount of words/pages per day? No I don’t set pages per day. I like long books, so I aim for more than 100,000 words for my books. What do you find is the easiest thing about writing? There’s nothing easy about writing well. Of all the hard things that must be done to produce a good novel, I find imagining new worlds and new inhabitants of those worlds easiest. I suppose it takes me roughly four years from start to finish to write a book. However that’s highly misleading since I start the next book right after the first draft is complete, so there is a good deal over overlap when I’m writing the first draft of one book and editing the last. Do you ever get writer’s block and if so do you have any tips on how to get through it? Writer’s block, in the sense of reaching an impasse in a story is not usually my problem. My problem is sheer laziness. I have many duties to complete and I get caught up in all of these urgent matters and let my writing time slip. What is your editing process like? I have friends who have taken a great deal of time as “beta readers” who critique my book and often see blind spots that I as a writer have missed. I always enlist the services of a professional editor to complete the edits. I can’t stress how important it is to find an editor who is not only technically competent, but has a genuine love for your books. Self-publishing is a very broad term that includes vanity publishing. I prefer the term micro-publishing. By that I mean running a very small publishing business with an emphasis on the quality of the books produced and a severe eye on the costs. Force yourself to be a “finisher.” Make sure you sell some version of your book to your reading public to get feedback from them. Where do you see publishing going in the future? In my role as a research scientist I had a chance to see the Print-On-Demand technology develop. I think this trend will continue and will favor the smaller publisher. Traditional publishing will not disappear but will continue to be under increased cost pressure because of their extensive infrastructure. The best books become part of our intellectual scaffolding. Remember as a writer you are an artist first. You want your books to be entertaining, but also to make a difference in your readers’ lives. Don’t mistake sales as the primary indicator of your success. My favorite books (on an equal footing) are C. S. Lewis’ Narnia series and J. R. R. Tolkien’s Lord of the Rings. I re-read the Narnia books because of the profound spiritual insights that Lewis offers. I re-read The Lord of the Rings because of the sheer beauty of the work. 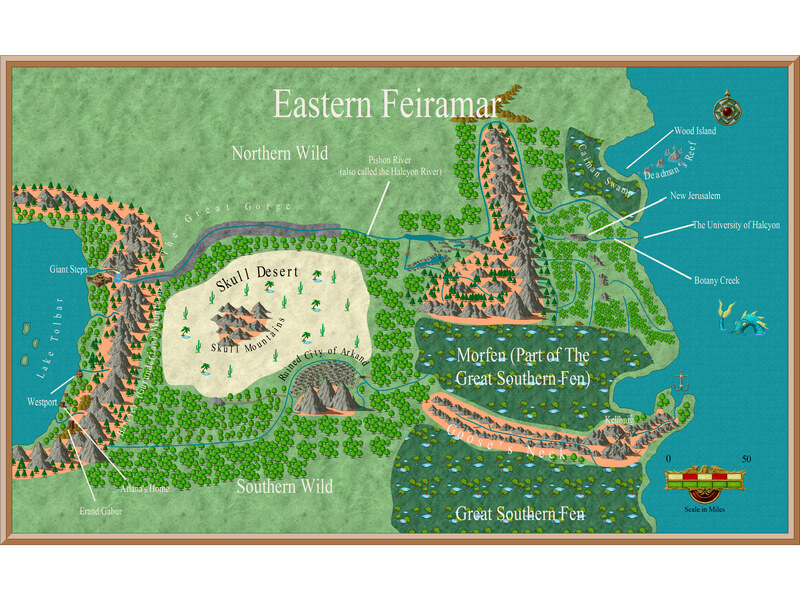 Even though I know the plot almost line for line, I love the beauty of walking through the vale of Ithilien and the terror of the Mines of Moria. I’m always delighted to hear from my readers. They can contact me by email directly or leave a comment on my blog. Why Look at Independent Authors? The world of books (and e-books) is changing. Traditional publishers with their teams of editors, their distribution networks, and advertising power are consolidating. Many smaller book stores are closing as readers shift to mega-stores and the internet. From my perspective, traditional publishers are focusing more and more on blockbusters to shore up their bottom line. This means that well-known authors and people with a platform (e.g. sports stars, celebrities, and pastors of mega-churches) have an edge. Increasingly, it is difficult for established publishing businesses to take a chance on a new author with an unproven track record. There are increasing numbers of high quality books available as professional editing becomes accepted as a key to producing a high quality book among indie authors. The numbers of indie books is enormous. You will find a huge selection in your favourite genre. Independent authors have true freedom to write what is on their hearts, unencumbered by the constraints of political correctness, or the biases of the mainstream media. I often wonder to what degree the philosophy, brand, and convictions of the owners of traditional publishing houses impact their product. Once they buy the rights to a book, they can (if they choose) influence it to a remarkable degree. To get away from that possibility, you have to look at the independents for whom the freedom to write what they like is paramount. It’s usually easy to get to know and chat with indie authors. They are generally delighted to talk to someone who has enjoyed their book and their following is often small enough that they have the time to engage in dialogue. Although the cost of hard copy books (hard cover, trade paperback, or paperback) are generally more expensive for independent works than for mass produced paperbacks by the traditional publishing houses (because of the higher cost of short print runs), e-books are not. Often e-books are available for much less from indie authors who are eager to get a foot in the door and expose as many readers as possible to their creation. It’s hard to become known. Most newspapers and best sellers lists focus on authors publicized by traditional publishers. Most awards are restricted to traditional publishers. It’s very hard for an independent author to get a prestigious award. There is a view that has been promulgated that self-published works are of poor quality because had it been good, it would have been picked up by a traditional publisher. In my experience this is false. Undoubtedly there are some poor books in the independent realm, but there is also a lot of poor and (to my mind) distasteful products in the traditional arena—works that make me question what I was thinking when I bought the books (check my one and two star ratings on Goodreads if you want details on my evaluation). It’s very hard for an independent author to get a review in a major newspaper. Again they tend to focus on their long-established links with traditional publishers. So How Can I Help an Independent Author? Make reading independent authors a regular part of your reading diet. Use the internet to find books that interest you. Follow reading sites such as Goodreads.com and identify books from their huge database that are interesting to you. When you find a good book by an independent author, write them a review. As an author, I think I have to write a well-thought out, detailed review, and so I write very few of them. As I write this, I think I’m changing my mind. Certainly the long review is best, but perhaps a quick one or two line review is also good—better than saying nothing. Authors often don’t like to ask for reviews (even though they wished they received from people who laud their books) because asking defeats the purpose of an independent review. Help independent authors with social media: “like” their Facebook pages, retweet their book announcements, let your friends know when you like a book. Give an indie book that you like as a gift to someone else. Take the time to add an indie book that you like to a genre lists such as those found on Goodreads. Even two or three votes identifying a work as a valued book in a genre can make a big difference. Why not fill out the poll below? The traditional publishing industry continues to be under pressure. In November HarperCollins Canada indicated they were closing their warehouse in Toronto and 120 positions would be lost. Simon & Schuster Canada also indicated that two of their top people were being let go. Given the erosion of people and resources in traditional publishing how is a neophyte author to respond? M. C. A. Hogarth in a recent blog pointed out one of the difficulties confronting new authors trying to break into the publishing field using traditional publishers is the disparity between the number of excellent manuscripts and the number of publishing slots available to a publisher. Let’s be harsh and say that of those 10,000 [manuscripts], only 10% are worth publishing. That’s 1000 books, and you [the publisher] only have 45 slots. How on earth do you choose? Out of self-preservation, you decide only to receive manuscripts from agents, figuring they’ll comb through the top 10%. They do, and they present you with 100. You still only have 45 slots. Now how do you choose?… At the end of the day, there were 1000 books worth publishing, and 45 got through the door. As the traditional publishing industry continues to be pressured into cost-cutting, editors have less and less incentive to take a chance on new authors. Furthermore, increasingly the available information dictates that many excellent manuscripts will be missed simply because of the sheer numbers of manuscripts that need to be read to find the gems. I love the science in Science Fiction, but I feel much more at home in the moral landscape of Fantasy, so I write Science Fiction that has the feel of Fantasy. I wanted to check out a well-known SF/Fantasy publishing house to see how many titles they brought out in 2014. A search on Amazon indicated they published 122 new novels in 2014 (the latest offering was mid December). This number is quite consistent with Hogarth’s estimate of 100. Given the bias towards established authors, Hogarth’s estimate of 45 available slots for new authors is quite reasonable. It means a new author has almost no chance no matter how good his material might be. Writing an excellent Fantasy or Science Fiction book is no guarantee that an SF/Fantasy publisher will even consider, much less read your manuscript. As the pressure on traditional publishers mounts, the situation will only get worse. The neophyte author can write query letters and never even have the manuscript evaluated because of the numbers in play. If you’re committed to being published by a traditional publisher, all of the time taken away from writing the next novel will only pay off if you eventually land a contract. Thanks for reading. Have you had an experience with either Micro-Publishing, Self-Publishing, or Traditional Publishing that you’d like to share? Peter Kazmaier is author of The Halcyon Dislocation, a colonization epic about a university transported to a parallel world. In Self-Publishing editors, publishing companies, and marketing vendors take advantage of neophyte authors by lauding a bad book idea and then encourage the author pay them thousands of dollars for services that produce a book that will never sell. If the manuscript were really any good, a conventional royalty publisher would pay to have it published. An individual does not have the infrastructure or the marketing clout to compete with the major publishing houses. Thus the self-publishing author cannot really compete. Most self-publishers only sell 100-200 copies of their book. Self-publishing is synonymous with low quality work. If you self-publish a book, your brand (name) will be tainted and conventional publishers will not consider your future submissions. Are these criticisms valid? Let me take each of these in turn and look at the validity of these assertions. This can be true. If you mention writing in a Google note, a great many advertisements appear offering to publish your book, sight unseen. I am not saying any of these are disreputable, but as with any large investment the buyer must exercise due diligence to separate the “wheat from the chaff.” By all means speak to other authors that have used them. Check into the financial stability of the operation so that you do not pay money upfront and then find that the vendor has entered bankruptcy proceedings before they deliver your books. Ask hard questions about the services they provide. Will you receive the files of the final edits and the print ready files or do these cost extra? Does the vendor place your books into bookstores? Which ones? Will the publication agreement allow you to publish elsewhere? Since you are paying, it should. Will the vendor provide a listing on amazon.com? Who will fulfill the amazon requests? Amazon, the vendor or you. Who owns the cover art? What will it cost to reprint? You will likely think of other questions. The key point for me: I treat this like any other large investment and exercise due diligence. Understand how the vendor makes their money. Do they have any interest in seeing your manuscript succeed? I do not at all think this is at all the case. The inverse however is likely true. If your manuscript is poor, that is to say, if the plot is defective, the editing is inaccurate, and the language is clumsy, then it is unlikely that a royalty publisher will pick it up. However I am convinced that many good manuscripts are missed. And the number missed is increasing as the cost pressures on traditional publishers escalate. The primary motivation for most publishers is sales. For that reason, as the pressure for sure fire winners mount, the publishers (from my observation) focus more and more on established authors or authors who naturally have a platform. If you are the pastor of a large church, president of the United States. or a star athlete, publishers will be interested in your manuscript. An individual does not have the infrastructure or the marketing clout to compete with the major publishing houses. Again in one sense this is true. As an individual you likely do not have the advertising budget, the connections to receive reviews from major daily newspapers, nor will you likely be considered for major awards. However there are three factors strongly in favor of the Micro-Publisher. As a Self-Publisher you do not have the overhead of a major publishing house. You do not have a building to maintain. You do not have an army of professionals to pay. As a consequence that along with a higher retention of the book’s revenue’s as income, your break even point should be much lower than a publishing house (I aim for break even at the sale of 300 books). I work hard and learn to do as much as possible myself to keep this number low. As a Self-Publisher, you are able to sell with a personal touch. With a low break even point, a Self-Publisher can afford to sell books one at a time without being driven to the risky expense of mass marketing. The internet is the great leveler. As a Self-Publisher you access the same audience as the major publishing houses. The internet also provides an easy way for authors and Self-Publishers to band together and help each other. Considering how readers make their book buying decision is another approach to this question. Some buy books off the national best sellers list. Others buy books that have received a major award. Still others browse the shelves of their favorite book store and read the cover description. For me, I choose books either by recommendation or because I need them for a project. When I select a fantasy read, I will likely choose a series that people I trust recommend. I do not ask (or care) about the publisher. The recommendation is enough. Similarly in nonfiction, if some one discusses an idea in a book, article or blog, then I am likely to search a copy of the book out. For people like me, the traditional publisher really has no advantage to achieve a sale. It all depends on the quality of the book and the recommendation the book can garner from people I trust.. When you are starting out, I think this is a reasonable expectation. However if you have a low break even point, you are not that far away from making money. The key question: Is your book any good? When your readers finish are they glad they spent their money? Will they recommend the book to others? If the answer is ‘no,’ then you need to develop your writing craft further and your expenses have really been tuition in the school of writing and you have obtained some valuable feedback.. You can’t expect to make money if your readers don’t like what you’ve written. A Self-Publisher controls when his book goes out of print. If by your third book, you have developed a substantial following, all those readers will go back to books one and two if they really like your work. I expect to start slowly and I expect to have a long learning curve. The term Self-Publishing spans a great many different scenarios. I have defined a few categories to bring out the breadth of the Self-Publishing field. Vanity publishing. A person may simply want a book that he published to put on his coffee table to show to friends and family. The payback is the existence of the book and not the quality nor anticipated sales. Even a low quality, unedited book will achieve this goal. Family Memoirs. Every family has important history. Most of that history is significant to the family alone and not to outsiders. These books may be well written and well edited, but the subject matter may only be of interest to the family members. The Author as Artist. The author loves to write. but hates to get involved in the business side of things. This may produce many fine books, but likely the sales and marketing will be lacking. Micro-Publishing. The author works to develop his craft and business at the same time. While working to improve the quality of his work, he also works to develop a business, based on a low overhead model to find a marketing niche for his books. Micro-Publishing requires more detailed discussion and I plan to devote a blog entirely to that concept. I also want to point out that in my view many books published by royalty publishers are low quality work. I don’t mean they were full of spelling mistakes (that rarely happens) but often books that reviewers have raved about, I put down after the first couple of chapters and I regretted spending the money and would not recommend them to others. In my view a royalty publisher is no guarantee of a good book. I do not know if this is the case or not. But I do know that a book ought to be judged individually by its quality and content and not by the quality of the author’s previous attempts. If a Self-Published book excludes an author from future consideration, then it seems to me this is rank prejudice. In summary, taking control of the publication process can be expensive and is not for everyone. When I have undertaken this Self-Publishing step, I treated it as a major investment and performed due diligence gaining as much information as possible and then weighing the pros and cons. Thanks for reading. What factors went into your Self-Publishing decision? Peter Kazmaier is author The Halcyon Dislocation, a colonization epic about a university transported into a parallele world. 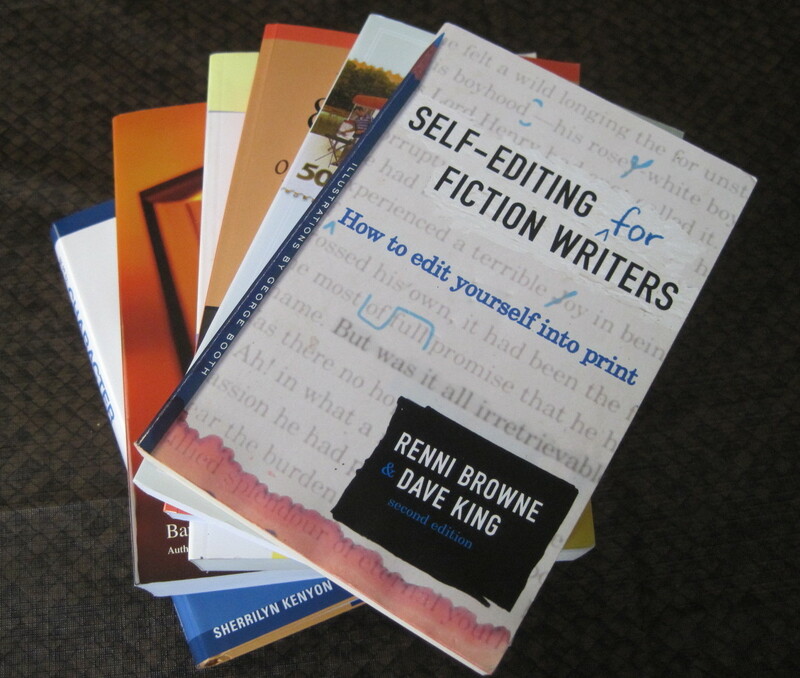 (Micro-Publishing-Part I) Should I Self-Publish My Manuscript? In the Writer’s Group that I attend we talked about self-publishing at our last meeting before we began to read our most recent creations. There were many thoughts presented for and against self-publishing versus the traditional route of searching for a royalty publisher for your manuscript. This question has been brought into sharp relief as traditional publishers and booksellers continue to suffer. For example Borders’ process toward Chapter 11 protection was recently documented (see the article by Tiffany Cary Borders Liquidation Riles Toronto’s Kobo, National Post, page FP1, July 19, 2011). So what is a neophyte writer to do with this question about whether or not to self-publish? Let me begin by quoting Robert Sawyer, arguably the most successful Science Fiction writer in Canada. In Self-Publishing editors, publishing companies, and marketing vendors take advantage of neophyte authors by lauding a bad book idea and then encouraging the author pay them thousands of dollars for services that produce a book that will never sell. I think some (perhaps all) of these statements contain an element of truth in them and I will talk about them in more detail later, but is there another side to this story? Many beginning novelists spend years getting their first manuscript together. They buy books on writing, pay for critiques, attend workshops and writer’s conferences (all cost tens to hundreds of dollars) and they wonder if their manuscript and writing is any good. Some never leave this stage, endlessly revising their work. Others, in their hearts wonder if they can take the criticism that comes with having their “baby” critically appraised. If they can screw up their courage, they go to stage two and submit their manuscript to royalty publishers. It is important to realize (and frequently overlooked) that in stage 1 you are already spending copious amounts of time and money. Every book on writing, every conference you visit and every workshop you attend is money out of your pocket. It is not as if you only start to spend money when you decide to self-publish. So what about stage 2? In stage 2 writers will send query letters along with their manuscript to publishing houses, perhaps hundreds of them, proposing their manuscript for publication. Many will come back with a boiler plate “no,” others will say “we like the idea but it doesn’t fit with our publishing objectives” and a lucky few will actually receive a favorable response. An initial favorable response however does not guarantee publication. Generally each publishing house has a committee that oversees cash expenditures and even though an acquisition editor may pitch your idea to that committee they many still not fund it. The key point to remember at stage 2 is that the query letter time is competing with your writing competency development time. You have less time to write and all of the rejections you receive serve only to undermine your self-confidence (that may have some long run benefit since all writers need to develop a thick skin). Finally (and to me this is the most important shortcoming) you have not yet been able to get your book into the hands of your true audience, the book buyer. Let’s suppose that you are one of the lucky few who is offered a book contract. Now you have made it right? Check out stage 3. So you have your book contract and advance. The publisher now owns your idea and wants to maximize revenue from it. That may mean major changes in the content to direct it toward the market “sweet spot.” Furthermore with tight marketing budgets and most marketing directed toward the surefire money makers (authors with a large following, name recognition, and a good track record) the publisher will rely heavily on you to help with the marketing through book signings, blogging, publicity events, and public speaking. You are likely not on salary, but it is expected that you shoulder a significant burden of the marketing responsibility. One ought to ask oneself: “If I am spending all this time to make money for a royalty publisher, would I not be better off doing the same things for my own publication where the margins are much higher?” The answer is not straightforward. The publisher may have experts for every stage of the publication process and that may make for a better book (some publishers as a way of reducing costs, are laying off staff editors and using free lance editors instead). Those potential benefits are being traded off against the freedom of managing your own affairs. When you manage your own publishing you can change printers, decide when to launch e-books and try whatever marketing strategy makes the most sense to you. But you are not finished yet. There is also a stage 4. So your book is published and you have begun to bring in sales for your publishing house. Is your book a success? Generally a publisher’s minimum expectations are to cover the writer’s advance with royalty payments. If you do not cover that spread then your book has been a financial failure from the point of view of the publisher’s expectations. However some 96% of initial contracts are not covered by the paid royalty from sales. So after all this time if you are not one of the lucky 4%, you have a marketing failure next to your name. Is this really better than self-publishing? I am not at all against working with a royalty publisher, but my priorities are to grow in competence in the craft of writing, to learn how to market my books, and to connect with my readership. I cannot accomplish that if I leave the publication process solely in hands of someone else. I want to be wise about paying for printing, and I want to proceed with realistic expectations, but if I don’t have a book to give to my readers, I will not be listening to the people that really count. So what do you think? Am I on the right track? Have you had any personal experiences with either royalty or pay-for-print publishers? Stay tuned for the next installment where I talk about some of the confusions, obfuscations, and misunderstanding related to self-publishing. Peter Kazmaier is author The Halcyon Dislocation, a colonization epic about a university transported into a parallel world.